Russell Means said Indian Nations are "living in the belly of the monster, and the monster is the United States." In 1967 President Johnson created Operation Chaos to spy on the American Indian Movement, Black Panthers, student movements and anti-war movements. The CIA operation gathered documents on 7,200 US citizens, tracking their contacts with so-called 'dissidents' in other countries. Although a great deal has been exposed about COINTELPRO, very little has been written about Operation Chaos. There is only one mention of Operation Chaos spying on the American Indian Movement in Wikileaks, and the document is not available online. However, other documents on the Internet reveal the purpose of Operation Chaos, a highly classified, secret intelligence project of the CIA. Agents targeted US activists interaction with people in other countries, stating they were suspicious that the unrest at home was coming from abroad. However, in the end, agents discovered there was plenty of unrest originating within the US, including the movement against the Vietnam War. The agents were segregated from other CIA agents and the first targets were the Peace Movements and African American movements. Then, the American Indian Movement and occupiers of Wounded Knee were targeted. 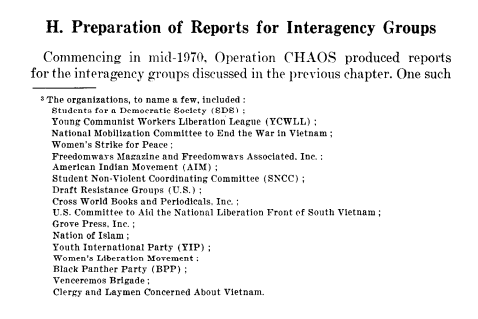 The report below reveals how the CIA exceeded its authority with domestic spying of Operation Chaos in the 60s and 70s. 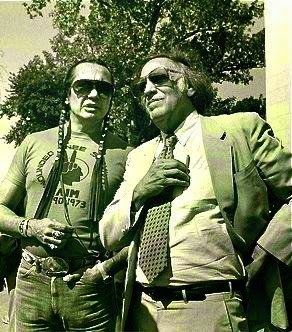 American Indians involved in the anti-war movement were targeted by spying during the 1960s and 1970s. The US carried out domestic operations, as revealed when the US targeted Buffy Sainte Marie. There were also foreign operations, which focused on AIM and travel to Europe. The US cables reveal that the State Department was focused on spying on Russell Means. Means promised to expose the genocide of American Indians in Europe and seek support for the ongoing "foreign occupation" in the US. The US was also concerned that the delegation to Europe in 1977 would use "Iroquois passports," according to the US spy cable. 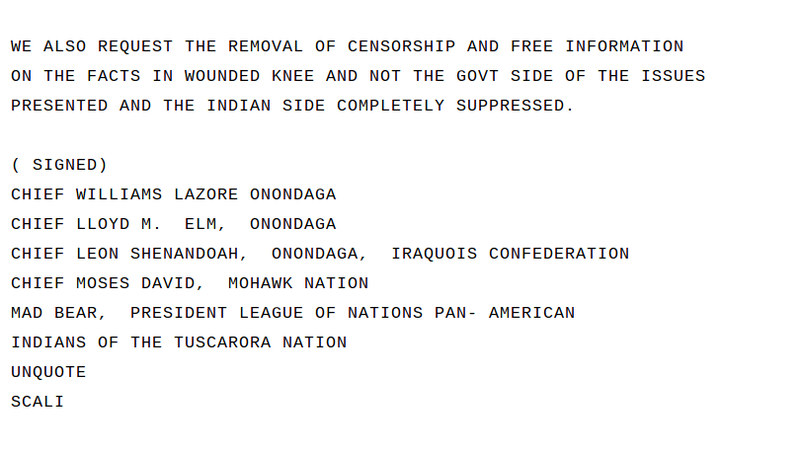 The US State Department was monitoring Russell Means, as shown below. 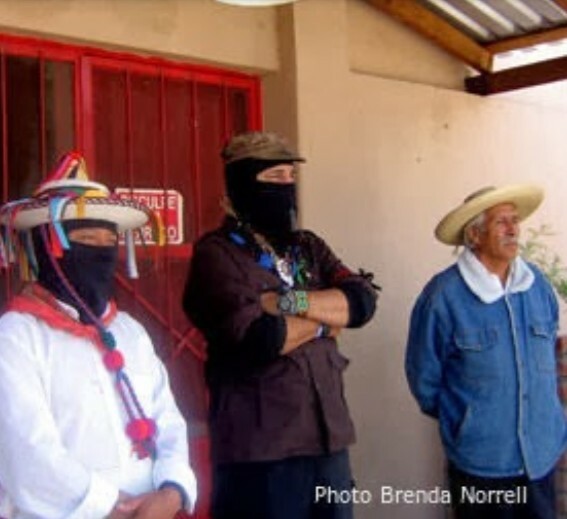 The American Indian Movement's relationship with Libya also created alarm and accusations in the US State Department, as revealed in the cables. Earlier, in 1973, the Six Nations Iroquois Confederation engaged the UN and responded to the request from Wounded Knee to serve as peace mediators during the Wounded Knee occupation. These words ring true today as the mainstream media presents a biased version of the real story in Palestine. One Wikileaks document is from Geneva in 1977, the statement on Discrimination and Indigenous Rights, which also refers to the sterilization of women without consent. 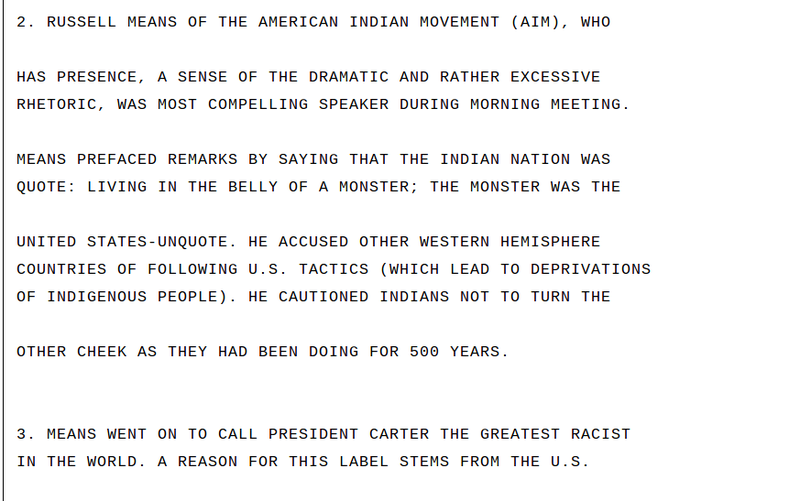 The cables also show that the US tracked comments of Russell Means regarding the sterilization of Indian women in the US without their consent. Thank you, Brenda- Great article!